A grow bag is an alternative for container gardening in the home landscape. Grow bags are literally bags of potting soil in which plants are placed to grow for a short period, such as a single season. A grow bag is intended for temporary growth. When the growing season is completed, the bag is often discarded along with the spent plant. 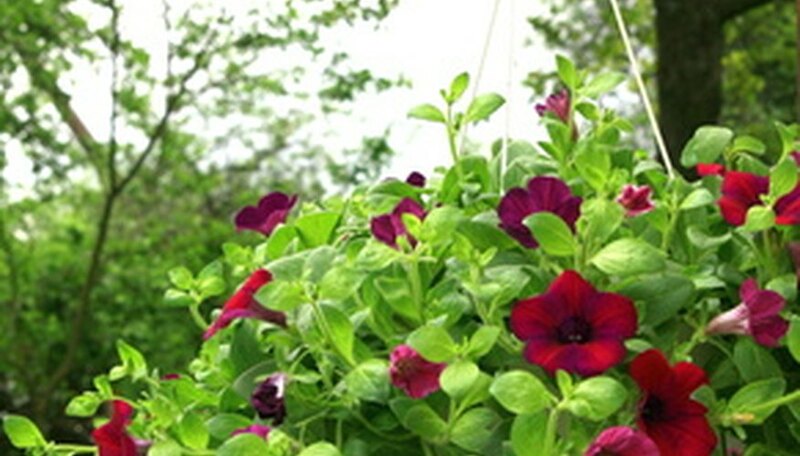 Grow bags are a popular choice for annual plants such as petunias or vegetables. Choose a bag for growing your plants. Use grocery bags, book bags, plastic bread sacks or a purchased bag of potting soil. Fill the bag with a commercial-grade potting soil, or mix your own potting mix with 1 part peat moss, 1 part perlite, 1 part compost and ½ part well-rotted manure. Never fill a container, such as a grow bag, with garden soil. Soil contains microbes that can build up in a grow bag and damage the roots of a plant. Seal the bag when you have filled it by folding over the mouth and securing it with glue, tape or staples. A potting soil bag will come already sealed and filled with soil. Create drainage holes by puncturing the bottom of the bag with the tip of a knife. Make your holes small enough so that they allow for drainage without allowing the soil to run out of the container. Place your grow bag in the location where you want the plants to grow. Make openings for plants in your bag by cutting slits in the top of the bag. Hollow out a planting pocket in the slits in the bag by pushing the soil aside. Place your plant’s root ball into the planting hole and push the soil back in place around the plant. Cover the grow bag with a layer of mulch to hide the bag. The mulch will also help keep moisture in the soil of the grow bag. Check your grow bag daily and water whenever the soil feels like it is about to dry out. The soil for most annuals and vegetables should remain as damp as a wrung-out sponge. You can create a hanging basket by filling a shopping bag--with handles--full of soil. Plant a trailing plant, such as Wave petunias in holes over the sides of the bag and in the open top of the bag. The petunias will cover the bag as they mature and fill out.